Through a history of performances in public spaces, this article develops a theory of “performing viewers.” It theorizes a conceptual art that gives viewers the opportunity to participate using the example of how drawing graffiti on monuments or on their pedestals redefines the monument, author, and artist. Performing viewers are considered in the article as vital constituents of ethnographic conceptualism—the artist’s version of informants. Taking the situation and history of pedestals (such as one, in Mostar, Bosnia-Herzegovina, without the Bruce Lee monument it was built to support) as an artifact of ethnographic conceptualism, the pedestal is turned into a document for urban ethnographers studying the Balkans. Structured as an experiment in conceptual writing, this piece is a continuation of the author’s art practice, which explores the history and politics of multiple kinds of authorship in the Balkans. The article reflects current debates on nationalism through the lens of ethnographic conceptualism. It analyses the interviews and statements about the future of the Balkans that were collected during the project Graffiti Monument. In English, extended summary in Russian. Carroll, Khadija. 2013. “Fight the Dragon Long, the Dragon You Become: Performing Viewers in the Graffiti Monument”. 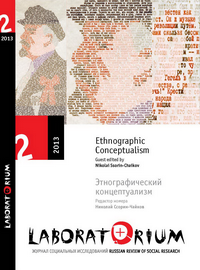 Laboratorium: Russian Review of Social Research 5 (2), 101-27. http://soclabo.org/index.php/laboratorium/article/view/99.